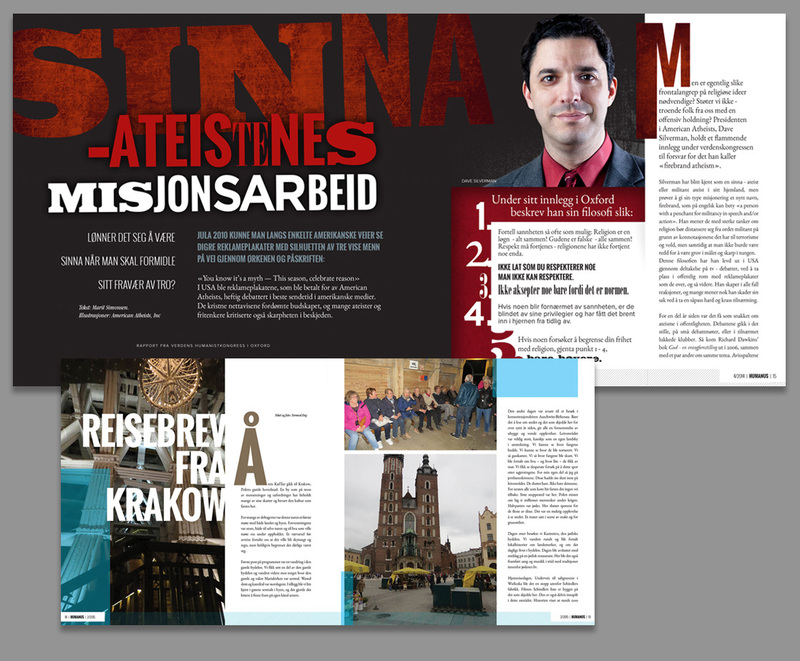 These exciting projects came from a Norwegian human rights organization whose mission is keeping religion and politics separate in public policy. 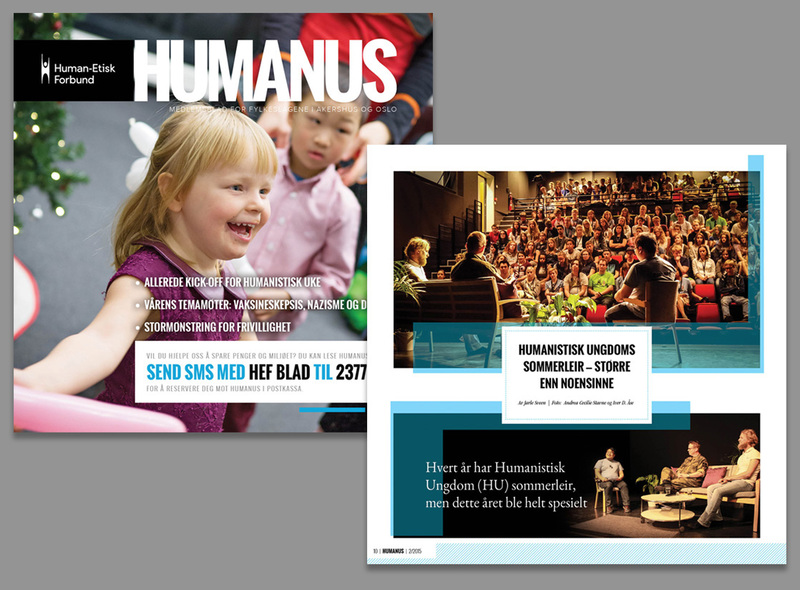 They published a quarterly magazine that keeps their members informed on the issues, and how Human-Etisk Forbund is influencing the discussion. 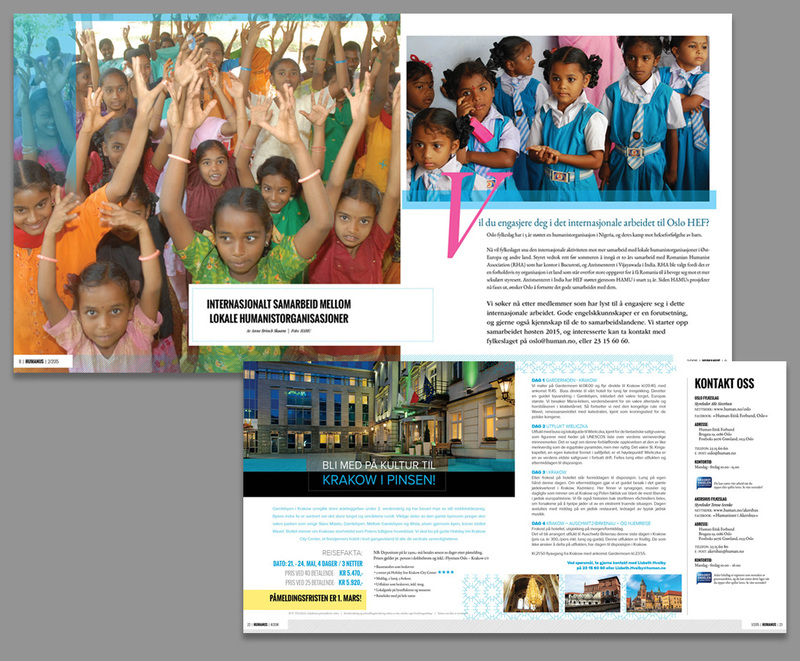 The client wanted a fresh design for their publication, something clean, eye-catching, and engaging for the readers. 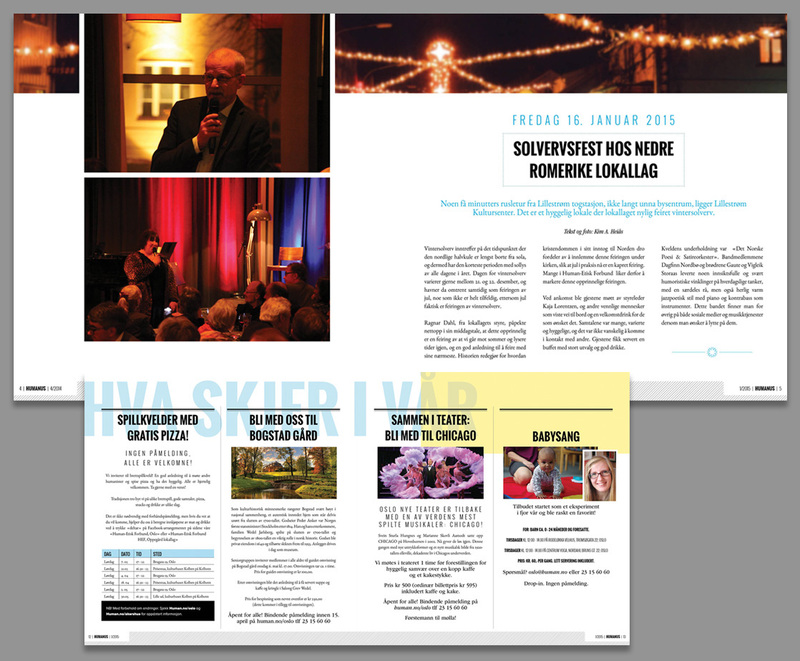 The goal was to create a fresh look for the magazine that would build and sustain passion from the members who read it. 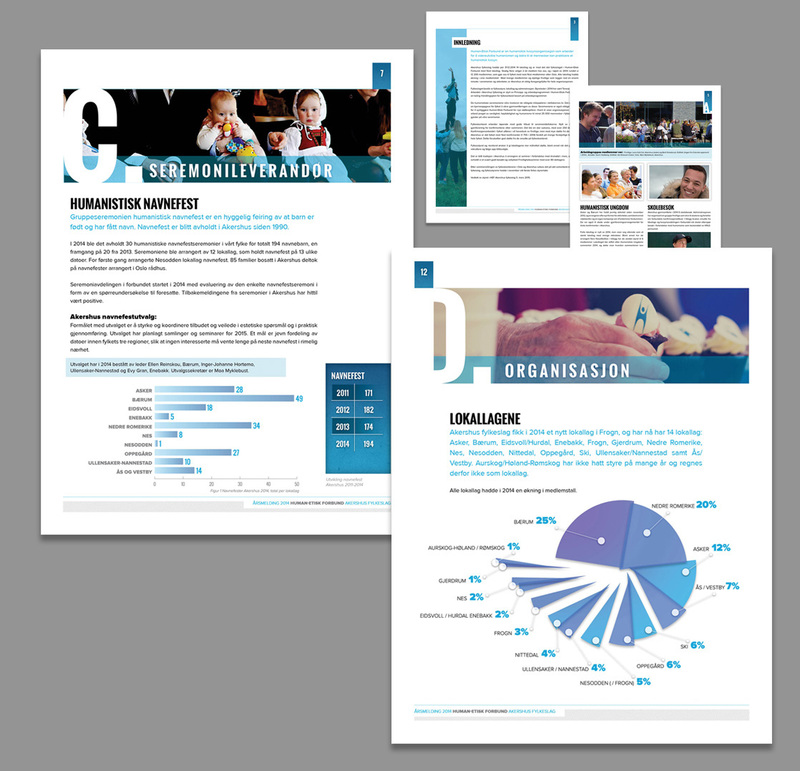 We created a whole new design and layout that accomplished their goals, a real challenge since the publication is written in a language we have no experience with. 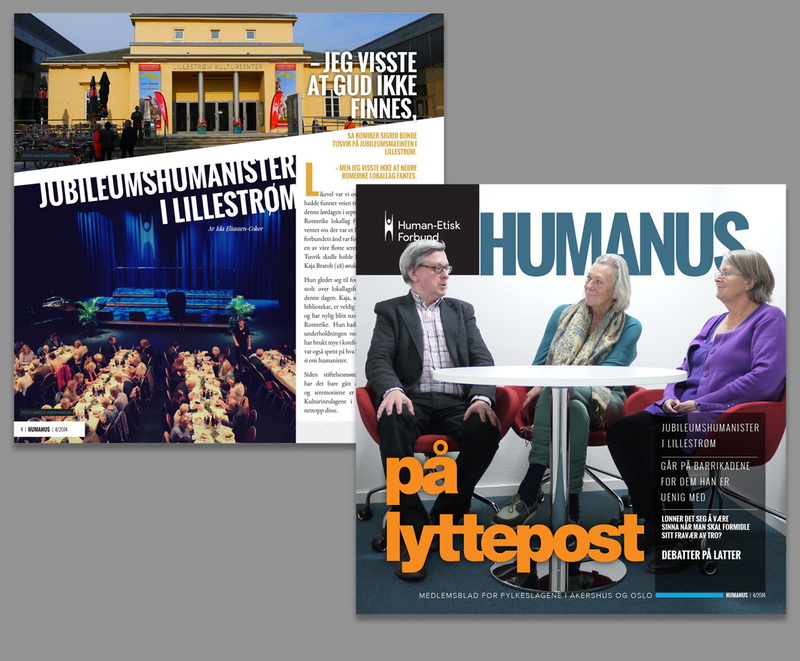 With a little help from the client, we managed to lay out a highly engaging magazine for members to enjoy.